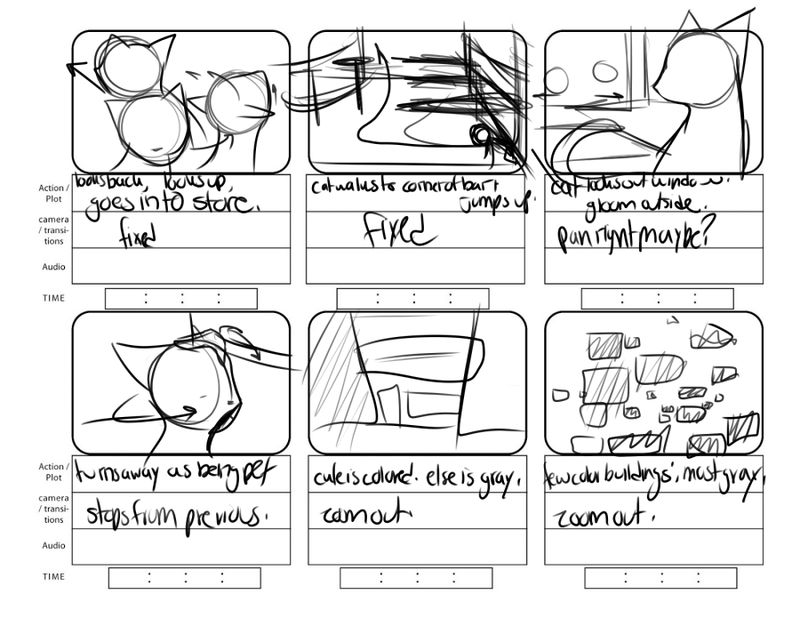 Not quite final storyboards; cleaner and more finalized storyboards will be posted when details are worked out. 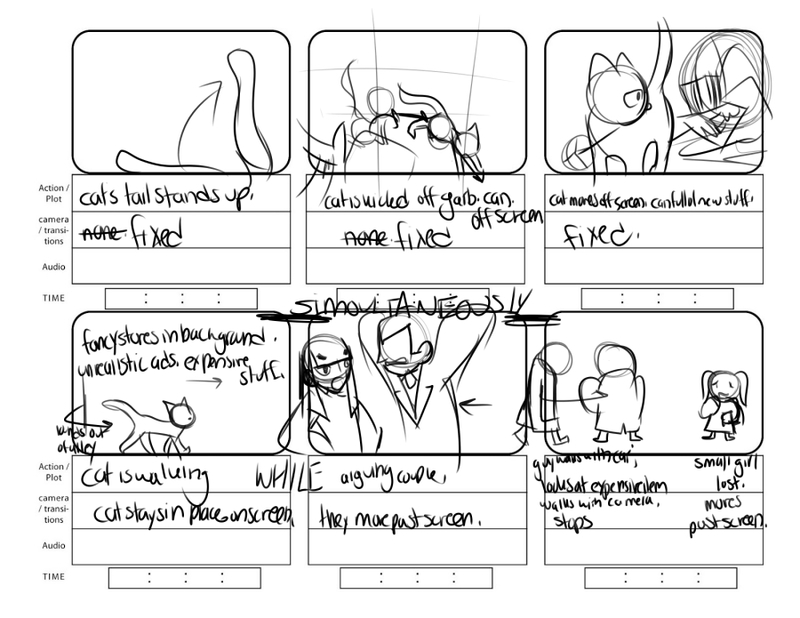 This entry was posted in Non Time-Based and tagged Storyboard, Survey of Animation. Bookmark the permalink.